Jacksonville Museum #1-Table Rock Saloon | Historic Jacksonville, Inc.
A museum has long been a feature of Jacksonville. 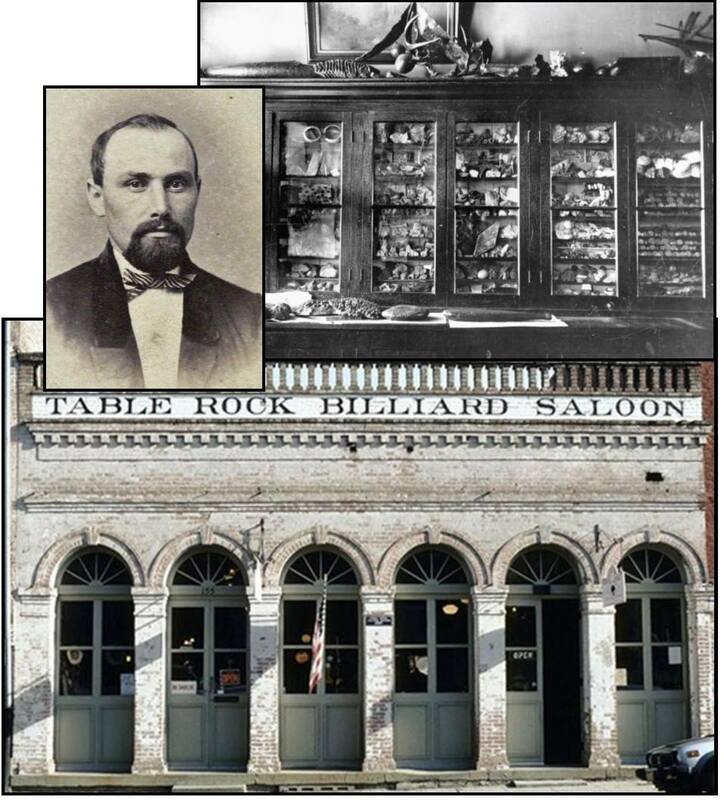 The Table Rock Billiard Saloon, constructed in 1860 at 165 S. Oregon Street, was also Jacksonville’s first museum. Saloonkeeper Herman Von Helms collected fossils and oddities to attract a clientele that then stayed for his lager. When the saloon closed in 1914, the Helms’ “Cabinet of Curiosities” boasted a collection of artifacts valued at $50,000. It encompassed “every possible manner of relic…mutely telling pages in the early history of Jackson County.” Highlights included the first piece of gold found in Jacksonville, a photo and piece of rope from a hanging, and the first billiard table in the Oregon Territory. The billiard table was twice the size of those used today and was transported in sections on pack horses from Crescent City, CA. Today the Table Rock Saloon is home to the Good Bean coffee house, but you can still enjoy some Jacksonville history in the form of the 19th Century photos decorating the walls.